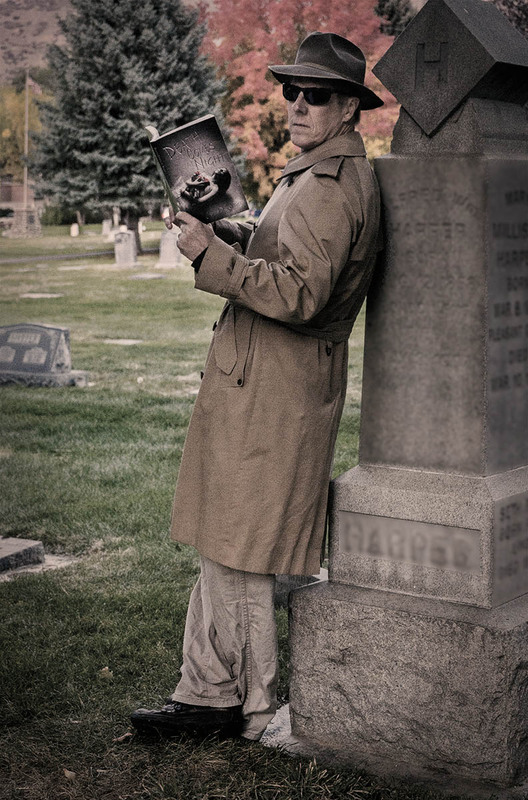 The author takes a moment to read Death Comes at Night, in the Cemetery. While outside the norm of my usual posts, I wanted you all to know it’s not too late to get your copy of my novel, Death Comes at Night. It makes a great Halloween read, especially at night. She didn’t answer. She turned back to stare inside. Now I must be crazy. Daniel Monson had never really done anything crazy in his life. He lived a normal life, a perfect life, sort of. Against his better judgment, Daniel stepped around the woman, into the barn. The light was blinding. He had stepped out of the blackness into a light much darker. The black cocktail dress was torn from her shoulder revealing pearl white skin. A trickle of blood dripped from the corner or her ruby lips. Her arms were above her head as if she were lounging. Her legs were skewed and her black dress was pushed too far up her hips. She had the bluest eyes he had ever seen. She was staring up at him, pleading. He shouldn’t be here. He shouldn’t see this. Who did this? He couldn’t run. His arms and legs felt very heavy. He hadn’t realized it, but his teeth were chattering. So cold. So very cold. He turned to look at the woman in the doorframe. She was bleeding on the floor of the barn.